This is a pioneering history of the experience of captivity of British prisoners of war in Europe during the Second World War, focussing on how they coped and came to terms with wartime imprisonment. 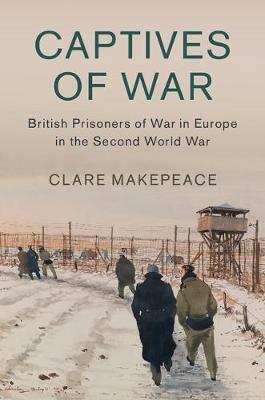 Clare Makepeace reveals the ways in which POWs psychologically responded to surrender, the camaraderie and individualism that dominated life in the camps, and how, in their imagination, they constantly breached the barbed wire perimeter to be with their loved ones at home. Through the diaries, letters and log books written by seventy-five POWs, along with psychiatric research and reports, she explores the mental strains that tore through POWs' minds and the challenges that they faced upon homecoming. The book tells the story of wartime imprisonment through the love, fears, fantasies, loneliness, frustration and guilt that these men felt, shedding new light on what the experience of captivity meant for these men both during the war and after their liberation.